In a year that has already witnessed the release of two biopics of political stalwarts – that of the Shiv Sena’s Balasaheb Thackeray and the Congress’s Manmohan Singh, you can now watch a couple more, both on the current Indian Prime Minister, Narayan Damodardas Modi. 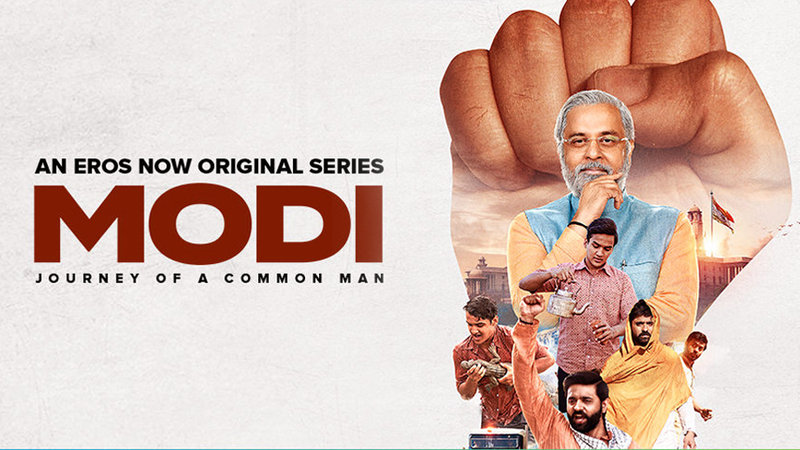 While one is a Bollywood flick, slated to release anytime soon, the one we’re more interested in, for reviewing’s sake, is a web series, Modi – The Journey of a Common Man, currently streaming on Eros Now. 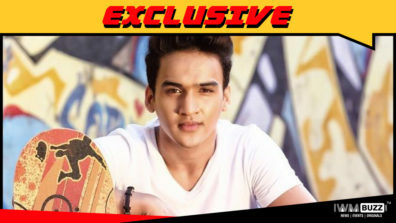 Produced by Eros Now, in association with Umesh Shukla’s Benchmark Pictures and Ashish Wagh and Hitesh Thakkar, Modi – The Journey of a Common Man is a ten-part web series, five of which have been released for viewing as of now. 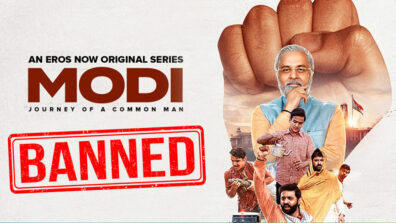 The web series is based on the book, Common Man’s PM – Narendra Modi, written by Kishore Makwana. Eros Now’s treatise on the Indian PM begins from 1975, the year when the Congress government at the centre, led by Indira Gandhi, declared a state of emergency in the country. The Emergency was one of the darkest and most controversial periods in the history of independent India. It was marked by large-scale arrests of opposition political party leaders, despicable atrocities committed against peace-loving civilians and the quashing of the fundamental rights guaranteed by the constitution to the people of its country. However, despite the Emergency being one of the most noteworthy events in our country’s political history, the present generation is woefully unaware of its whys, wherefores and significance in the political scheme of things. The web series devotes a considerable amount of time to narrating the details of the Emergency, as it was a very significant period in Narendra Modi’s life and contributed immensely to his rise in the RSS echelons. In doing so, it gives a vivid and detailed description of the goings-on of that time, which may be a good thing if it triggers a lust in today’s generation, for knowledge of that controversial period. Speaking of which, yours truly admits that the web series did make me look up the Emergency on the internet, and I devoured whatever material I could find on it. To say that I was surprised by it all is putting it mildly. The episodes on the Emergency, as portrayed in the series, are definitely an eye-opener for audiences, if nothing else. To give credit where it’s due, the makers have not overly harped on the fact that it was the Congress party and Indira Gandhi, that were the perpetuators of the Emergency. They are mostly referred to as ‘sarkar’ in the entire series; yes, not even Congress sarkar. The RSS, however, is clearly named, time and again. Emphasis is laid on Modi’s and the Sangh’s struggle to restore democracy in the country by peaceful and non-controversial means. 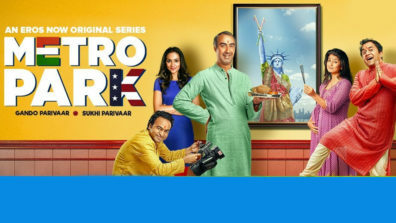 The series depicts how Modi had to move about in disguise to escape arrest, and later, go underground, to continue the struggle and enforce the ideologies of the Sangh. He is mentored by a lawyer, Lakshmanrao Inamdar, who is a prominent member of the RSS. Makarand Deshpande plays the lawyer, aka Vakil Saheb, in the series. Initially, the disguises, covert missions, secret messaging systems, demonstrations, lathi charges of civilians and their subsequent arrest and police torture in lock-ups, seemed over the top and overtly dramatic. Honestly, the scenes portrayed are as intense and reminiscent of India’s freedom struggle against the British. It led us to wonder about the veracity of the depictions. But once we had researched and read up more on the subject, we were compelled to change our opinion. We must say that director Umesh Shukla and writers Radhika Anand and Mihir Bhuta have stuck to the truth in their representation of the Emergency and this period in Modi’s life. 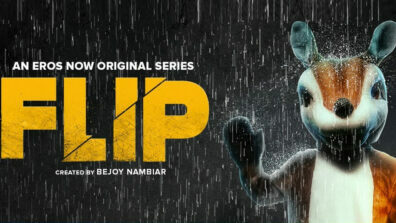 The series flits between varying timelines. It showcases the life and times of the 25-year old Modi, a budding Sangh karyakarta, who takes an active and forcefully dominating part in the Sangh’s activities to conquer the Emergency and restore democracy in the country. Ashish Sharma plays the young Modi in this innings of the PM’s life. And consummate actor that he is, Ashish slips into character with the ease of a chameleon. 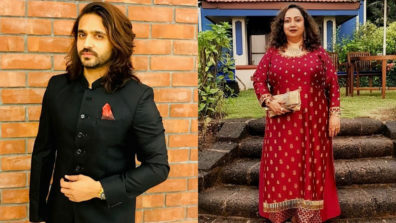 Hats off to the casting directors for getting it right – Ashish Sharma is close to perfection as the young Modi, getting all the mannerisms and much of the tonality right. We all know the PM’s penchant for expressive hand movements and animated finger-wagging. Sharma gets those down pat, with flawless precision. His hair and get-up, of course, help in further entrenching his resemblance to Modi. In between, we are introduced to the young 12-year old Modi, who balances his studies and helps his father, Damordas Modi (Darshan Jariwala), sell tea at the Vadnagar railway station, hence earning the sobriquet, Chaiwala. It was also the moniker that Narendra Modi leveraged to great effect in the 2014 Lok Sabha general elections. Faisal Khan plays this version of Modi, and mighty well too, let me add. Though he does not bear much of a resemblance to the teenaged Modi, his impressive performance helps him pull off the role with panache. 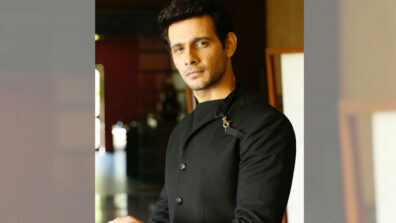 He is earnest and exuberant in his portrayal, one that is marked by a keen sincerity and ardent honesty. This period in his life introduces us to the life lessons that a young, impressionable Modi picks up –from his parents, from the Sangh, from a trio of sadhus that settles near his tea stall, and from the teachings of Swami Vivekanand – lessons that shape him for life. We learn the reason behind Narendra Modi’s decision to remain a bachelor throughout his life, despite being betrothed to Jasodaben (his estranged wife) in childhood. It helps us gain an insight into the traits ingrained in Modi’s personality – his wily machinations, skilfulness in turning around a situation to his favour, devotion to his mother (Prachee Shah Paandya), oratory skills, gift of the gab and much more. Mahesh Thakur has played Narendra Modi from 2001, when he became Gujarat CM, to his current avatar as PM of India; but the episodes featuring him are yet to be streamed. The remaining episodes promise to be far more interesting than the first five ones, as they attempt to throw light on the post-Godhra riots and violence in Gujarat, when Modi was Gujarat Chief Minister. Do the makers have the temerity to go the whole hog and show us the complete truth of that dark chapter in Modi’s life? Or will it be a glossed-over representation of facts, from which emerges a Modi smelling of roses? Bet it will be the latter, what say? The dialogues, by Radhika Anand and Mihir Bhuta, are superbly written. Some are absolute gems, to be cherished as valuable learning. The use of pure, chaste Hindi in some places hits a discordant note though. The high words used in places simply go over our head. 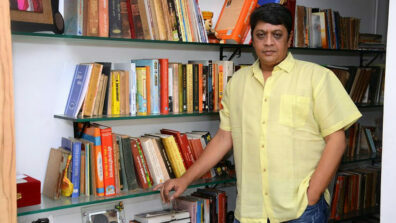 Umesh Shukla’s direction is inconsistent – gripping in some parts, while dragging in others. Director of photography, Sameer Arya, has done a good job of portraying small town Gujarat of the sixties and seventies. The background music is a major pain point. It drones on in a wishy-washy way, and you get the feeling that you are watching a retelling of the Ramayan, with that saccharine-sweet music playing away in the background, much to our irritation. And yes, the makers may deny it till the cows come home. They may reiterate that the timing of its release is but a fluke. Yet, we all know Modi – The Journey of a Common Man for what it is – blatant propaganda for the incumbent PM, designed in an election year, nay, an election month, to swing popular opinion in favour of Modi, thus guaranteeing him a second term in office. And it may well succeed, for all you know. That said, Modi – The Journey of a Common Man is an engaging watch. Though it does lionize its subject to mammoth proportions, it keeps you glued to the screen and you watch as layer upon layer of the PM’s personality peels away before your eyes, revealing interesting facts about him. You also get to hear the poems written by Modi himself, one at the end of each episode, in Ashish Sharma’s velvety dulcet voice. The poems are pretty powerful writing, we must say. There are also quite a few takeaways for the keen-eyed. The first is of course the aforementioned facts on the Emergency, something we millennials hardly know anything about. The second is the life lessons that have made Modi what he is, and given him his trademark sharpness and astuteness – lessons we can all learn and apply in almost every sphere of life, to achieve higher, further, stronger. We agree that Narendra Modi is not everyone’s favourite personality. Opinion on him swings wildly between two extremes; some love him with a devotion bordering on maniacal, while some hate him with a vehemence that is stunning. We, however, recommend that everyone must watch Modi – The Journey of a Common Man. Either it may reinforce your well-entrenched views. Or it may convert you into a Modi devotee. But a newly minted Modi basher it will make you not. We guarantee you that. In the meanwhile, we, at IWMBuzz, go with a 3/5 for Modi – The Journey of a Common Man.